This is the single audio cassette "Real Love" by The Beatles. The cassette is in very good condition and sounds great. This is a 'single' cassette so there are only 2 songs: 1. Real Love and 2. Baby's In Black. A great cassette from a great band. A rare tape, in great shape, complete in case with artwork, and tested working. The Beatles vol.1. cassette tape from SPAIN. 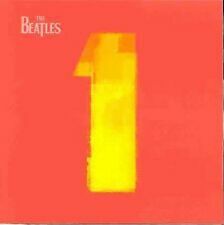 The Beatles Collection 1962-1966 Album I - vol.II. cassette tape from Venezuela. TAPE IS GRADED VISUALLY! SEE PICS FOR DETAILS ! The Beatles 1962-1966 Vol. 2 cassette tapes from Por tu gal. I will combine shipping on any multiple item orders on the same day. Beatles double cassette tape - 1967-1970 - UK reissue from 1993 on Apple, in a fat box. UK 2nd class - free. The cassettes and inlays are all in EX condition. 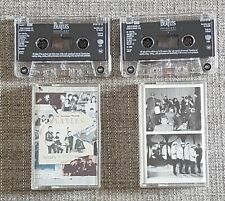 Beatles double cassette tape - 1962-1966 - UK reissue from 1993 on Apple, in a fat box. Cassette 2 and inlay 1 are both in EX condition. I have shown these defects in the pictures. Also, the tape has been fitted in the shell incorrectly, so that side 1 actually plays side 2, and vice versa. Beatles double cassette tape - Anthology 2 - UK issue from 1996 on Apple, in its original stickered fat box. The cassettes and inlays are all in EX condition. The case is EX-, with a few light scratches, but no cracks. A8 I Want To Hold Your Hand. A3 We Can Work It Out. B7 Paperback Writer. B5 Yellow Submarine. B4 Bad Boy. B2 I Feel Fine. Beatles double cassette tape - Anthology 1 - UK issue from 1995 on Apple, in a fat box. UK 2nd class - free. The cassettes and inlays are all in EX condition. Excellent playback on testing both sides. THE BEATLES - ANTHOLOGY VOL: 1 - DOUBLE TAPE SET ISSUED ON APPLE/EMI RECORDS IN 1995 - CAT NUMBER : TC-PCSP 727. The Beatles - A Collection Of Beatles' Oldies (subtitled "Oldies but Goldies" in the inside of inlay) on good old cassette tape. Grey cassette shell with white paper labels with red printed text. Plays well, real 60s tape feel. A2 From Us To You (Previously Unreleased Variation) (Recorded At BBC Paris Theatre, London, 28 February 1964) 0:27. A4 I Got A Woman (Previously Unreleased Song) (Recorded At BBC Paris Theatre, London, 16 July 1963) 2:48. 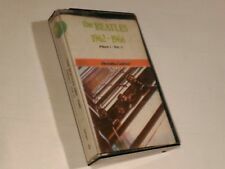 Beatles cassette tape - The Beatles Ballads - Saudi Arabia issue from 1980 on 747. The cassette and inlay are both in EX condition. The original 747 case has scuffs and scratches, but no cracks. UK 2nd class - free. 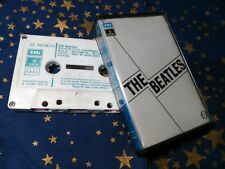 This is a copy ofThe Beatles "Live At The BBC" Double Cassette. In presentation slip case. 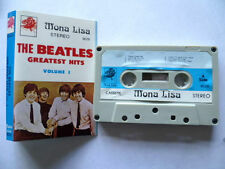 RARE ASIA TAPE - THE BEATLES: 1962-70 (PART 4) CASSETTE. CASSETTE AND INNER ARE VERY GOOD - PLAYS JUST GREAT. CASE HAS A LITTLE WEAR AND A CRACK. BIRTH OF THE BEATLES Cassette Tape. LE GRANDE STORIA DEL ROCK "GREAT HITS OF THE 50'S, 60'S AND 70'S". THE BEATLES. GREATEST HITS. Cassette Tape. THIS CASSETTE IS IN NEAR MINT CONDITION! The Beatles. Compact Cassette. Rare card box issue - not plastic case. Case - Fully Intact, but shows wear. Sold "As Is". Old & Rare! Played & Used. Untested Condition.